Water treatment. Beaker with water and dirt (mud). Aluminium sulphate was added to cause flocculation. 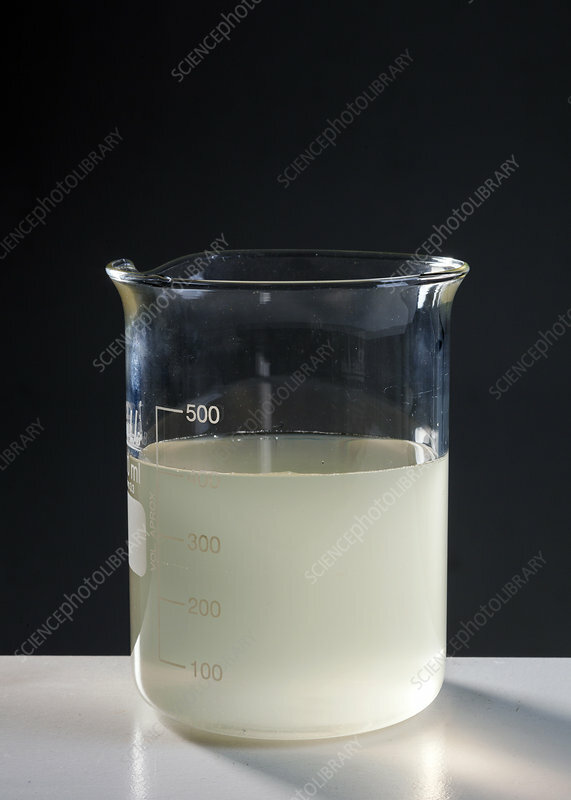 Flocculation, in the field of chemistry, is a process wherein colloids come out of suspension in the form of floc or flake; either spontaneously or due to the addition of a clarifying agent (in this case, Aluminium sulphate). The action differs from precipitation in that, prior to flocculation, colloids are merely suspended in a liquid and not actually dissolved in a solution.